Taking first dates to new heights, in 2012 Radha Vyas and Lee Thompson went on a date that resulted in more than just a wonderful relationship and marriage, but an innovation startup called Flash Pack. Within a year, the couple had bought a house and set up a business that was recently valued at $13 million. 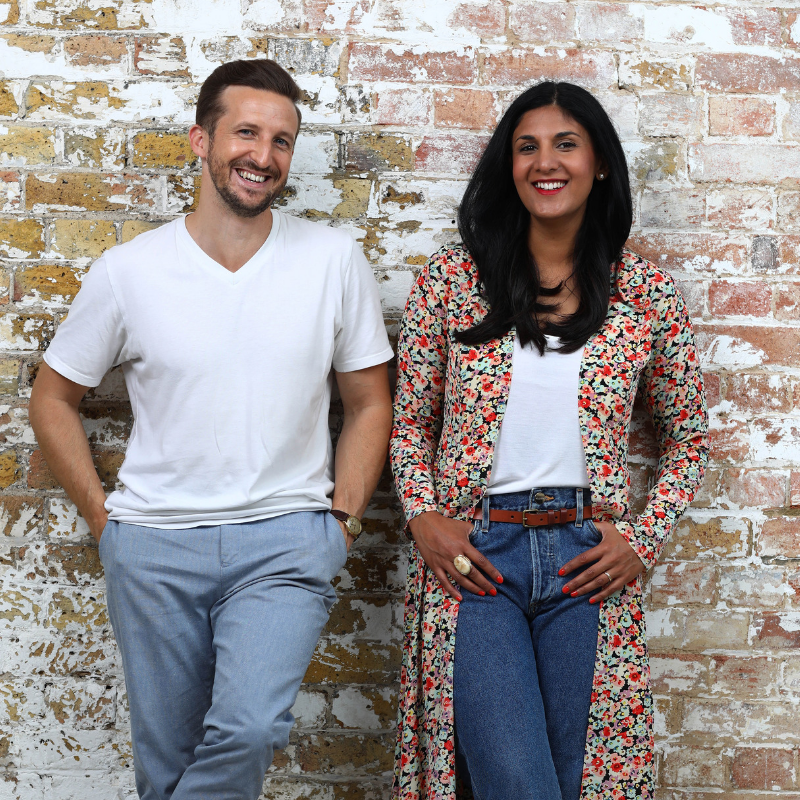 We caught up with this entrepreneurial duo to find out how they have created one of the fastest growing startups in the UK , while juggling their marriage. I must say, your entire story sounds like an absolute fairy-tale to any budding entrepreneur. So, naturally, before I ask anything else, tell me about your first date and how it resulted in creating Flash Pack? Lee Thompson: Our first date took place at a local pub, and we spent the entire evening trading stories of our adventures abroad. After a few glasses of wine, Radha mentioned she had a travel-related business idea and that she’d spotted a gap in the market for an aspirational brand speaking to single people in their thirties and forties. I immediately recognised the potential of the concept, and we started to brainstorm right there and then. Our next few dates were spent coming up with ideas and attending trade shows together; not the most conventional start to a relationship, but it worked for us! What were you doing before Flash Pack and at what point did you both decide to leave your 9-5 and focus on the dream? Radha Vyas: I’ve travelled a lot all my life and by the age of 25, I’d lived abroad in Provence, Madrid and Santiago, Chile. When I returned to England, I built a fundraising consultancy business, raising money from high-net worth individuals for the not-for profit sector. Although I was enjoying relative success, I couldn’t shake the nagging feeling that I really wanted to be an entrepreneur and that I was missing out on life. On the other hand, in a not-so 9-5 job, Lee was working as a photojournalist for UK National papers. He covered everything from the Libyan civil war to the Egyptian revolution and the Japanese tsunami. Both of us were in our early 30s at the time, and many of our friends were settling down; their holiday habits were shifting. But we still craved adventure, and people like us at a similar life stage to share it with. The lightbulb moment came when we realised that we both felt the same way, and we knew other people must do, too. So, we made good on the gap in the market. We continued to work full-time for a while after we launched Flash Pack, before making the leap to entrepreneur life as the concept took off. Having your business valued at £10 million must be incredible, but of course it wasn’t easy. Talk about the growing pains of building a successful business from the ground up. Radha Vyas: The first six months were extremely painful and a huge learning curve for us. We learned everything we could about our target market and worked every day toward acquiring our early adopters, but we were making very little process. We found it challenging to convince people to trust a company that had no online reviews and didn’t even rank on page one of Google. To boost sales, we landed on a unique marketing idea, stemming from an article on workers fixing the Christ the Redeemer statue in Rio, Brazil. It inspired us to capture the "First-Ever Selfie with Jesus", which became an instant viral success. This image, coupled with a link back to the website, resulted in 1.4 million hits to flashpack.com in two days, lots of buzz and excitement around the brand, immediate sales and consistent monthly revenue from then on. Market research must have been key to navigating a business in a new industry. How important do you think it is for start-ups to do their market research? Lee Thompson: Good market research is crucial – you absolutely need to know who you are talking to. One of our biggest strengths at Flash Pack is that we are our audience, so it is second nature to anticipate their needs, and predict what they will want from adventure travel (both now and in the future). That natural resonance has helped to build a really strong, loyal community of over 130,000 Flashpackers worldwide. That said, nothing beats cold hard data. We researched meticulously to understand why people in their 30s and 40s weren’t booking group travel adventures, and what we could do to change that. Market research created the foundation for us to make that conversion. I’m excited to find out about the infamous “First-Ever Selfie with Jesus”. What’s the story behind it? Lee Thompson: In 2014 we were reading an article about workers fixing the Christ the Redeemer statue in Rio that was damaged from lightning. We realised it was possible to climb inside the statue, so I decided to fly out to Rio to convince the Archdiocese to give me access. Rio was getting a lot of bad publicity at the time due to the amount of money they were pumping into the upcoming FIFA World Cup and I convinced the Archdiocese that I could turn that around. Remarkably, he agreed and blessed me at the foot of the statue before giving me access. I popped out of Christ’s crown and took a selfie from the top, capitalizing on the two biggest trends of 2014: selfies and the World Cup. We released the photo to the media two weeks before kickoff: The "First-Ever Selfie with Jesus" became an instant viral success. Who is your target audience and how did they respond to Flash Pack? Radha Vyas: We appeal to solo professionals in their 30s and 40s who crave escapism, adventure and a life less ordinary. Typically, these people have very demanding jobs so it’s about breaking free from the 9-5 with unique adventure travel that really gets under the skin of a place. 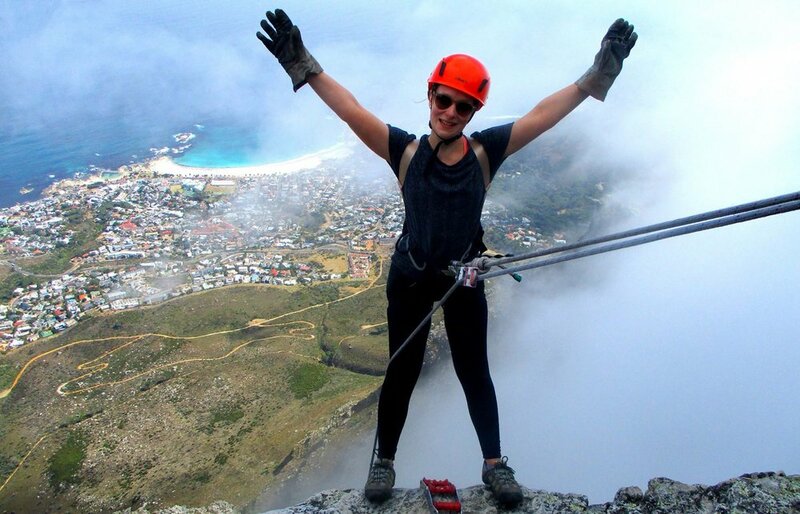 Often, we will push Flashpackers out of their comfort zone, too, with challenges such as abseiling down Table Mountain in Cape Town, or canyoning through the Wadi Mujib in Jordan. A boutique edge comes with beautiful hotels and adventures that are meticulously curated to make the most of any given destination. The response has been incredible. Our target audience are time-poor and discerning, so they welcome the opportunity to step straight into a vibrant adventure where every little detail is taken care of. Many people say they feel like they’ve been away for weeks rather than days, and that’s exactly the kind of energy we’re aiming for with our action-packed itineraries: they’re a way to refuel and charge up your life. By far and away the biggest appeal for our target audience, however, is the chance to connect with like-minded people. 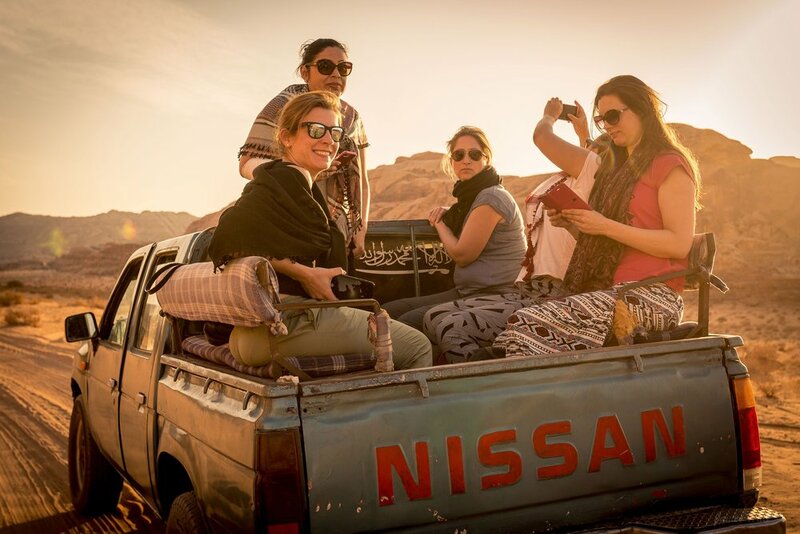 When you’re sharing adventure together with people at a similar life stage, friendship happens really quickly, and the group chemistry is a theme that Flashpackers always rave about in our reviews. There are a couple of trends that play to our market, too. The adventure travel market is booming right now, enjoying a 69% year-over-year growth since 2009. Meanwhile, over 80% of people going on Flash pack adventures are single, reflecting a global rise in solo living that chimes directly with our market. Also, we have worldwide appeal, with 60% of business now overseas. What do you think makes Flash Pack stand out from the crowd? Lee Thompson: As a company we are changing the face of group travel by meticulously curating both the adventure itself (making sure it is unique, meaningful and vibrant) and the group chemistry (a target age bracket, so that everyone is in a similar life stage). If you ask Flashpackers what they love about our trips, the people they meet always ranks at the top. Travellers become really close fast and stay in touch long after the adventure has ended, so the like-minded link is key. 68% of Flashpackers never considered going on a group tour before finding Flash Pack, which is exciting as we are not simply stealing market share, we are opening it up to a whole new group of people. Having a co-founder is one thing, but adding marriage to the mix must be a thrilling experience? How do you both find the balance and make it work? Radha Vyas: We have regular date nights but ultimately we spend the time talking about Flash Pack! We are just totally obsessed with it. We used to feel embarrassed about that fact, but we have slowly realised that rather than spending life trying to find this mythical work-life balance, it’s better to focus on finding and doing work you love. The lows can be tough, but the highs are incredibly exciting, and we can’t imagine sharing these with anyone else. At work, we have very clearly defined roles. Lee builds the brand and I build the business. We have weekly management meetings where we are allowed to have an opinion on each other’s projects but each of us has ultimate veto over the decision. This helps us keep things professional at all times. Lee Thompson: A strong relationship between us has helped us to weather the struggles of starting a venture together in a fast-paced and competitive market. Then we’ve also focused on hiring a strong team to enable the explosive growth that we are enjoying today. At the heart of this is a work-hard, play-hard mentality: we’re tenacious, and make the most of every opportunity that comes our way. And we’re always open to learning and new ideas. Although we’re growing fast, we still have a start-up mentality at heart, and that means no closed doors: we welcome initiative at all levels of the company, and are forever open to new ways of doing things. Being flexible and receptive to change is a really important part of our growth. It also helped that we came as outsiders to the industry, meaning we weren’t as constrained by the status quo to begin with; and that open-minded approach was a plus. Finally, we are a cashflow positive business, meaning we have managed to fund our own growth. How do you both manage your minds, while going on the rollercoaster of running a business? Lee Thompson: It’s really important to carve out a bit of time for your own headspace when you’re running your own business: and that will often mean making the most of whatever half hour that you can squeeze out of the day. For instance, I often cycle to work very early along the Thames. It’s a quiet route, and a chance to gather my thoughts before the day kicks into action. It doesn’t seem like much, but it can make a real difference to everything else that comes after, and it’s so much better than jumping on a packed tube. We try and integrate ways of dialing down into office life, too. For instance, we might have lunchtime language classes, or a pre-work yoga session. It’s worth remembering that eating well, going to the gym and taking care of your wellbeing isn’t just a lifestyle choice when you’re an entrepreneur: it’s a necessity. So, difficult as it may be to find time, you have to do exactly that (and if you’ve had a chaotic few weeks, make a real effort to rework the balance). What would be your top 3 tips for budding entrepreneurs getting ready to launch? 1. Understand your market thoroughly: know what makes them tick, what drives them, what their motivations and fears are, and then create a product that exactly chimes with those needs. 2. Be passionate about what you create and don’t give up on it! If you love and believe in your business it will get you through the tough times. Most businesses fail because they give up hope when they don’t find the right distribution channel straight away. We faced a lot of rejection in the early days, which can knock your confidence. Find a way to build your resilience and look for evidence that you have a product that people want, despite the naysayers. 3. Surround yourself with positive people who will encourage you. Starting a business can be a lonely experience, even if you have a co-founder. Join startup groups in your area and network with like-minded entrepreneurs at the same stage of business. What is your favourite location to go Flashpacking? Hakone mountains, with shrines, tranquil islands and the most amazing food along the way. Finally, Vietnam: what a fascinating country, with so much to discover: from the lantern-lit beach town of Hoi An to the hazy hills of Sapa, and sailing on Halong Bay. Any plans for Flash Pack over the next 12 months? Lee Thompson: It’s a very exciting time for the company right now, as we continue to grow and focus on our global market. With around 60% of our customer base outside the UK, we’re looking to develop our presence in places such as North America and Germany, where Flashpacker communities are thriving. And we’ll continue on our mission to curate original, standout adventures around the world. Our dedicated team of adventure architects are on a never-ending mission to hunt down brilliant, untapped experiences, from camping out on a secret Philippines island with a private chef to a twilight snowshoe treks in the Canadian wilderness with s’mores and hot apple cider. In turn, these experiences will drive forward our portfolio of global trips.